Peaceful location, lots of empty field around, child friendly. The location is great and the hosts were very nice. The apartment was clean and generally comfortable. The lady is very friendly and hospitable. 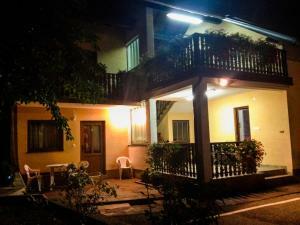 The guesthouse lies on a quiet street just of the central street leading to Plitvisce, so it is really convenient. You can sit outside on a terrace or in the garden. Lovely hosts. Beautiful setting. Good value. We loved the area. Clean, comfortable, nice location, fresh air, rustic, 5-6 km away of Plitvice, all utilities, good wifi, good bio honey - owners business, nice people, relaxig and quiet area. Very nice and quiet area around the house. Very friendly family. The host was very nice to wait for us, because we was comming from big distance, very late in the night. The location was very quit and charming with natural beauties ! we have a nice footbal field and two or three terase where we can relax. 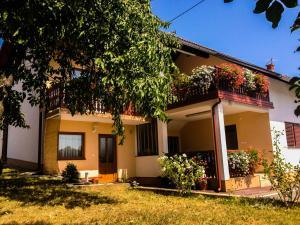 Lock in a great price for Guesthouse Ante Hodak – rated 8.9 by recent guests! Guesthouse Ante Hodak This rating is a reflection of how the property compares to the industry standard when it comes to price, facilities and services available. It's based on a self-evaluation by the property. Use this rating to help choose your stay! 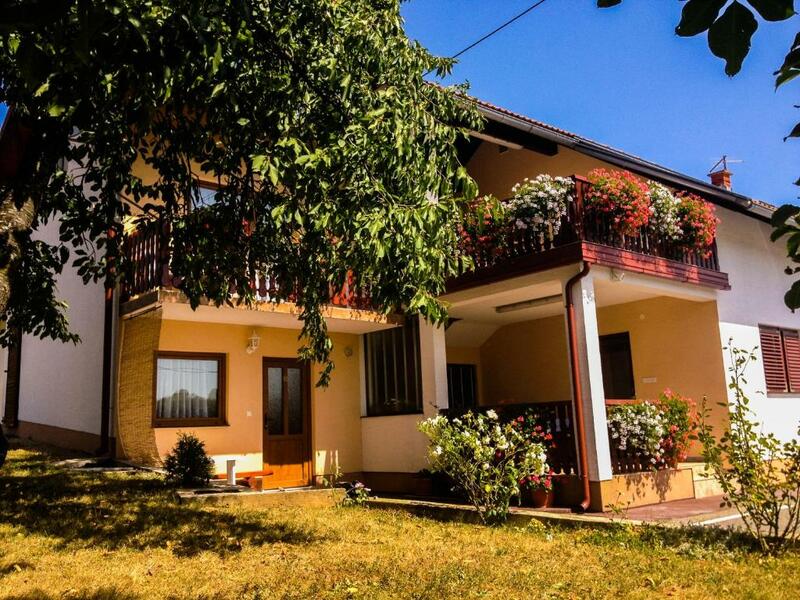 Located in Drežničko Selište on the main road Zagreb - Zadar, 3.7 mi before the entrance to the Plitvice Lakes National Park, Guest house Ante Hodak offers you furnished accommodations with free Wi-Fi, fully-equipped kitchens and bathrooms. The house is about 2,950 feet away from the main road, exactly opposite the Korana campground, in a quiet and peaceful area. Enjoy the untouched nature in our region close to Plitvice Lakes and the caves of Baraceve. Close to the Ante Hodak there are several restaurants where you can try local cuisine or you can make your own barbecue. When would you like to stay at Guesthouse Ante Hodak? Apartment offering 2 bedrooms, a fully equipped kitchen and a private bathroom. It also offers a balcony and a terrace. Apartment offering a living room, a fully equipped kitchen and 2 bathrooms. It also consists of a furnished balcony. House Rules Guesthouse Ante Hodak takes special requests – add in the next step! Guesthouse Ante Hodak accepts these cards and reserves the right to temporarily hold an amount prior to arrival. Please inform Guesthouse Ante Hodak of your expected arrival time in advance. You can use the Special Requests box when booking, or contact the property directly using the contact details in your confirmation. the apartment is a little small and while we had enough space (2 adults and 3 children), including the luggage there was not much room to maneuver. The room/kitchen/bathroom are small and a bit aged. Great view and very quiet. Rigid most of the times. They don't speak English. Very upset for leaving a light on. They offered a drink they called their specialty.